The Call of Duty (COD) franchise is large. 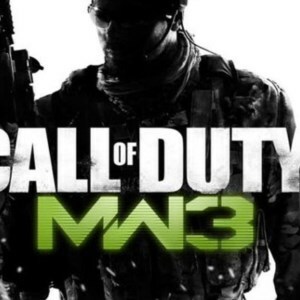 I've played one of the earlier version on the original XBox, but today my favorite online first person shooter multiplayer game in the series is Call of Duty: Modern Warfare 3 on the Playstation 3. Game from other series like the original Tom Clancy: Rainbox 6 games were far too real. I don't have the patience to create paths and deal with one shot kill (more real life) type games. However, other games like Halo were too fake! I can't stand shooting the same guy at point blank minutes at a time, dancing around him to avoid getting shot. COD is the perfect combination of action and realism. More common in games is the ability to customize your character. COD is no different. In multiplayer mode, you are given "classes". Everything from your primary gun down to special skills can be selected depending on your gameplay type. This setup is good for medium medium to long range styles. If an enemy gets near you, just start firing randomly and hope for a headshot. Otherwise, the gun is very precise deals a solid amount of damage. A couple of good shots and your enemy is dead. The Red Dot Sight is my favorite attachment. It is fast to zoom in and out, and deadly accurate with a red dot (when set to No Sight). I use the silencer for two reasons. As a downside, it reduces the damage a bit, but it prevents me from showing up on enemy radar and seems to reduce recoil effects. Scavenger Pro is only necessary once you master the gun. I often find myself running out of ammo, but on a great streak. Assassin Pro is necessary to not only keep me off enemy radar, but also so the enemy doesn't see a red crosshair when I am targeted. This gives me the ability to strike first. Marksman Pro on the other hand will allow me to identify enemy targets. Even if I can't see them, a few lucky shots in the general region can result in a undeserved kill.